Home / Market Insight, Financial Articles / Why Does the Federal Reserve Matter to the Stock Market? Why Does the Federal Reserve Matter to the Stock Market? Does a dog wag its tail, or does the tail wag the dog? 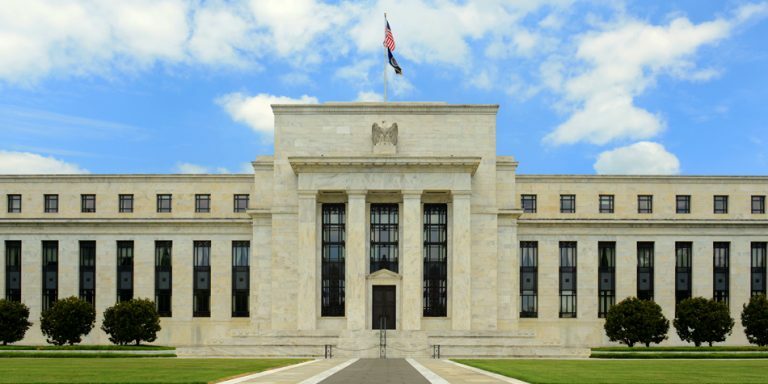 It’s a silly question on the surface, of course, but in a philosophical sense concerning the United States’ Federal Reserve, it’s a question with an unclear answer. The government arm is supposed to maintain the stability of the nation’s economy. In practice though, it certainly seems like the stock market dictates the Fed’s decisions. The truth of the matter? As usual, it’s somewhere in between the two extreme possibilities. And, also as usual, the truth isn’t a simple one. The stock market is ultimately tethered to the economy, but the economy is also largely driven by wealth created via the market, and by the capital-raising the equity market facilitates. Most investors innately understand it, even without explicit knowledge of the official mandate of the Federal Reserve. Note that nowhere in the mandate is the support of equity prices mentioned. It would be naive to think, however, that the Federal Reserve doesn’t directly play a role in the success (or failure) of the stock market. Indeed, investors tend to hang on every word of an official Fed statement. And it’s investors far more than consumers who closely monitor — and even speculate on — interest rate changes the Fed may impose. Given the choice, most Federal Reserve governors and the Fed chairman would prefer a little less scrutiny from investors. Interest rates, which are the Fed’s best tool to throttle the economy up or down to achieve the stability described by its mandate, are only a reflection of the economy’s condition at any given time. Changes in interest rates — and the given rationale behind those changes — are adaptations to a changing economy, intended to foster stability and create an environment where companies can best function. They’re intended to be implemented at such a slow pace that most companies, consumers and even investors shouldn’t even notice these changes. That’s the theory anyway. The reality is quite different. The reality is, in an effort to gain any sort of “edge,” investors tend to keep the Federal Reserve under a microscope. It’s not inherently wrong. But, it’s a mindset riddled with pitfalls. Investors often so desperately want to find an edge that they’ll see or hear something the Fed didn’t do, say, or write. Psychologists categorize this sort of thinking as confirmation bias, overfitting and apophenia. There’s also the not-so-minor reality that, right or wrong, even investors who know not everything the Fed does is important still have to respond to what the majority of traders are doing. Don’t misread the message. Many investors can — and do — overreact to comments and decisions from the Federal Reserve. But that overreaction tends to be a short-term mania. In the long run, for long-term investors, the Fed can supply a great deal of good information about the true health of the economy, which in turn determines the health of the stock market. To that end, despite the well-voiced assumptions, rising rates are not inherently bad for stocks, nor are falling interest rates good for the stock market. If anything, the opposite relationship is in place. Rates tend to rise in a robust economy, and rates tend to slump in a poor economy. Mostly though, there is no strong, corollary relationship between equities and interest rates. Rates are only one small part of a complex equation. Article printed from InvestorPlace Media, https://investorplace.com/2018/08/why-the-federal-reserve-matter-to-stock-market-invtlk/.